This week, Stephen Ibaraki, FCIPS, I.S.P., ITCP/IP3P, MVP, DF/NPA, CNP, FGITCA has an exclusive interview with Susan Ibach. 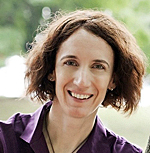 Susan Ibach is a developer evangelist at Microsoft Canada. She has taken an interesting road to get there. Starting off with a degree in Electrical Engineering, she tried working at Bell Northern Research until she discovered she preferred software to hardware. Her next stop was Accenture, where she worked in a variety of roles including programming, testing, roll-outs, database administrator, even business process re-engineering. But her challenge was finding a way to combine her love of technology with her passion for sharing what she was learning with others. She decided to become a full time technical trainer and taught databases, programming, ITIL, and business analysis for a number of years. Always interested in growing her own skills and in helping others, she started to help out Microsoft Learning and other trainers through conferences, meetings, and webinars. Last year she found herself accepting what can only be described as a perfect position for her skillset. Susan is now the Academic Developer Evangelist for Microsoft Canada; in her role she gets to share her passion for the latest developer technologies such as HTML5 and Windows Phone with students and faculty across the country. She still gets to talk about her favorite toys: Visual Studio and SQL Server to programmers across Canada as well. She has great fun talking to developers, professors, managers, and students. She also spends her time presenting and writing blogs for the Canadian developer and student blogs. "My job is to geek out with others on technology! What could be better than that?" :00:48: Can you detail your major prior roles and some shareable lessons you learned from each role that the audience will find valuable? "....Some lessons: The value of having a process in place....For some people the best way to manage or mentor them is to give them room to make the mistake....Learning that it's okay to say you don't know the answer...."
:05:21: Can you extend the last question to your current role and some lessons you've learned in your current role? "....Technical evangelist for Microsoft....Lessons: Prioritizing your work....Leveraging everyone around you and working together....The importance of walking out the door from time to time and getting out there to an event or user group or conference to get re-energized...."
:09:54: How are you supporting universities? "....DreamSpark program allows universities to get software for free....Guest lecturers for faculty....We sponsor conferences....(Extends to any higher education institution)...."
:11:40: What are some of the other ways that you empower faculty members from across the country? "....Microsoft Research has some great resources....We have a number of software development kits that make it easier to leverage our technology....We also have a whole website and a series of newsletters which is called the Faculty Connection...."
:12:53: Project Hawaii, isn't that something that has to do with universities too? "....That's an example of what Microsoft Research is doing. What they've done with Project Hawaii is that they've created a number of Azure services in the cloud....They've created services and written software development kits that can be reused by faculty. We try to provide tools and components that are very reusable for professors doing research...."
:14:14: How are you enabling students to live their dreams? "....One of the things we do is the DreamSpark program. There's DreamSpark programs for universities and there's also DreamSpark programs for students, so we make sure that students have access to free software as well....The Imagine Cup is something we use to inspire students to take their ideas and to implement them and try to make a difference in the world.... "
:15:22: What is the Imagine Cup and how can the audience support the Imagine Cup or get connected? "....The idea of Imagine Cup is that students are asked to solve a problem using technology. This is a worldwide competition and every country will be encouraging university students and college students to participate in the program by competing....They even have grants now which they are offering to some of the Imagine Cup participants to give them a chance to actually implement their ideas....How can your audience get involved and support it? ....Spreading awareness....Getting involved in sponsorship...."
:19:29: Profile what makes for good software architecture and how can it best be done. "....Be reusable....Be maintainable....Be adaptable....Think about cross-platform and cross-platform support....Some ways to implement:....Good object-oriented design....Separating responsibility....Cloud services....Web services...."
:22:17: Susan profiles the evolution of Microsoft technologies to better support design. :28:11: What are some specific insights you can share in software development? "....Common sense is not always common practice. It still comes back to the basics....When writing code, assume your code is going to live forever and that someone else is going to have to figure out your code....Requirements will change so be prepared for that, make sure that your process or code will allow for that...."
:34:36: What are the top resources that you use? "....If I'm already in the tool and I'm stuck on something specific in code, I'll start with online help....MSDN articles....Books (when learning something new)....Co-workers or other people I know (either in person or through social media)....Search....Forums (ie. Developer build)....Blogs...."
:38:36: What are the disruptive technologies and how will they have impact? "....There are tons of products out there that do specific things very well, but I think those technologies are disruptive when they don't play well with others. They have a negative impact on us in the long term when new technologies or new products come out and we need them to talk to each other...."
:40:33: What specific challenges and opportunities should IT practitioners and businesses embrace today and into the future? "....The cloud....The mobile world....New user experiences...."
:45:48: What innovations should we be watching for in the next five years? "....More virtual environments....More remote working...."
:51:31: Can you describe some areas of controversy in the areas that you work. "....The agile versus the waterfall debate when you are doing development....The cloud versus on-premise....Open Source....Is touch going to be the future?...." :58:02: What is the value in professional associations for computing professionals? "....Provide a sense of community....Give you a way of networking....Great for staying informed...."
:01:00:44: What are your thoughts on computing as a recognized profession with demonstrated professional development, adherence to a code of ethics, and recognized non-licensing based credentials? "....When you can have a recognized credential it gives you some credibility; it gives a confidence level....I think there's a lot of value in getting it more recognized as a profession and formalizing some of those skills so that an employer can really feel like this person not only has the skills, but they have the understanding as well and are they going to be ethical in their practice at their company....Having it recognized from a professional association with some core skills and principles would make a lot of sense...."
:01:04:02: Susan shares her deep insights into some of the emerging discussions about technologies that are happening such as CIO versus CTO, technology to grow revenue versus technology to increase efficiencies, the impact of business driving the technology decisions, technology perspectives from the customer's point of view, this concept are CIOs becoming the chief innovation officer and some other hot topics. "....I'm a big believer in using technology for both growing revenue and increasing efficiencies as long as you have clear expectations up front of why you are implementing that technology and you're not just implementing that technology because it's there.... "
:01:09:24: Please share your deep insights into the governance of board and the candid discussion among the board about things like: what are the board's top 3 concerns as it relates to the integration of technology and business, who do board members rely on within the organization, in terms of deploying an IT governance program, how should the board be involved in innovation and its impact on the organization's future success, and should the board be involved in preparing the work force for the future? "....Often there is this disconnect between the business plans and vision and the technology team, so you need a broader plan when you're thinking about your technology....I'm a big believer in IT governance if it helps avoid this disconnect between what the business is trying to achieve and what the tactical teams are trying to achieve, and making sure they're all working towards the same goal..."
:01:15:40: Susan shares some interesting stories from her extensive speaking, travels and work experiences (amusing, surprising, unexpected, amazing). "....It's made me think any time I'm in a company, where do I have work that I can bring someone in to do that otherwise might have difficulty finding a job?...." :01:20:47: You recently gave this seminar on blogging. Can you share some two or three tips from this presentation you gave? "....When you write a blog post, put a two sentence summary right at the beginning of your blog that basically describes what this blog post is going to tell the reader....Use lists; our eyes are naturally drawn to numbered lists and bullet points....Include an image or screenshot — the old adage that a picture is worth a thousand words...."
:01:23:46: If you were conducting this interview, what questions would you ask, and then what would be your answers? "....What technology are you excited by?....What technologies should a company or school be investing in right now to make sure they are staying on top of things?....Where do you imagine yourself being in 5 years?...."